On Saturday, March 29, cities around the world will turn off their lights to observe “Earth Hour.” Iconic landmarks from the Sydney Opera House to Manhattan’s skyscrapers will be darkened to encourage reduced energy use and signal a commitment to fighting climate change. While a one-hour blackout will admittedly have little effect on carbon emissions, what matters, organizers say, is the event’s symbolic meaning. That’s true, but not in the way organizers intend. We hear constantly that the debate is over on climate change–that man-made greenhouse gases are indisputably causing a planetary emergency. But there is ample scientific evidence to reject the claims of climate catastrophe. And what’s never mentioned? The fact that reducing greenhouse gases to the degree sought by climate activists would, itself, cause significant harm. Politicians and environmentalists, including those behind Earth Hour, are not calling on people just to change a few light bulbs, they are calling for a truly massive reduction in carbon emissions–as much as 80 percent below 1990 levels. Because our energy is overwhelmingly carbon-based (fossil fuels provide more than 80 percent of world energy), and because the claims of abundant “green energy” from breezes and sunbeams are a myth–this necessarily means a massive reduction in our energy use. People don’t have a clear view of what this would mean in practice. We, in the industrialized world, take our abundant energy for granted and don’t consider just how much we benefit from its use in every minute of every day. Driving our cars to work and school, sitting in our lighted, heated homes and offices, powering our computers and countless other labor-saving appliances, we count on the indispensable values that industrial energy makes possible: hospitals and grocery stores, factories and farms, international travel and global telecommunications. It is hard for us to project the degree of sacrifice and harm that proposed climate policies would force upon us. 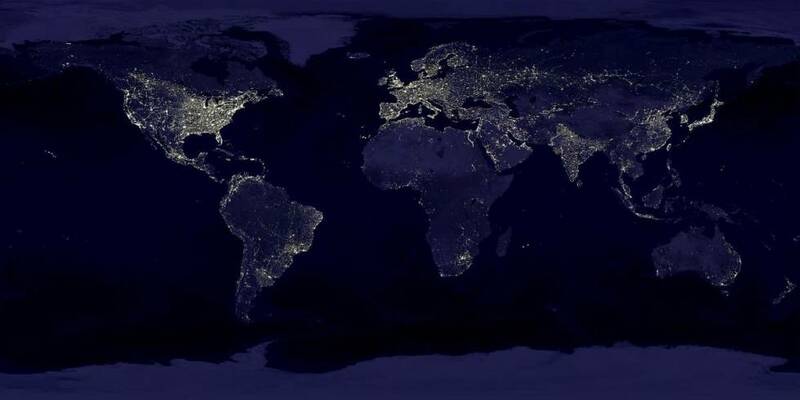 This blindness to the vital importance of energy is precisely what Earth Hour exploits. It sends the comforting-but-false message: Cutting off fossil fuels would be easy and even fun! People spend the hour stargazing and holding torch-lit beach parties; restaurants offer special candle-lit dinners. Earth Hour makes the renunciation of energy seem like a big party. Participants spend an enjoyable sixty minutes in the dark, safe in the knowledge that the life-saving benefits of industrial civilization are just a light switch away. This bears no relation whatsoever to what life would actually be like under the sort of draconian carbon-reduction policies that climate activists are demanding: punishing carbon taxes, severe emissions caps, outright bans on the construction of power plants. Forget one measly hour with just the lights off. How about Earth Month, without any form of fossil fuel energy? Try spending a month shivering in the dark without heating, electricity, refrigeration; without power plants or generators; without any of the labor-saving, time-saving, and therefore life-saving products that industrial energy makes possible. Those who claim that we must cut off our carbon emissions to prevent an alleged global catastrophe need to learn the indisputable fact that cutting off our carbon emissions would be a global catastrophe. What we really need is greater awareness of just how indispensable carbon-based energy is to human life (including, of course, to our ability to cope with any changes in the climate). It is true that the importance of Earth Hour is its symbolic meaning. But that meaning is the opposite of the one intended. The lights of our cities and monuments are a symbol of human achievement, of what mankind has accomplished in rising from the cave to the skyscraper. Earth Hour presents the disturbing spectacle of people celebrating those lights being extinguished. Its call for people to renounce energy and to rejoice at darkened skyscrapers makes its real meaning unmistakably clear: Earth Hour symbolizes the renunciation of industrial civilization. Keith Lockitch, Ph.D. in physics, is a fellow at the Ayn Rand Institute in Irvine, CA. The Institute promotes Objectivism, the philosophy of Ayn Rand, author of Atlas Shrugged and The Fountainhead.